It was a nice surprise this morning as we rounded the cape to flat seas and sunshine while expecting 25 knots of wind from the south west. Sometimes we wonder how the weather man still has a job around here. 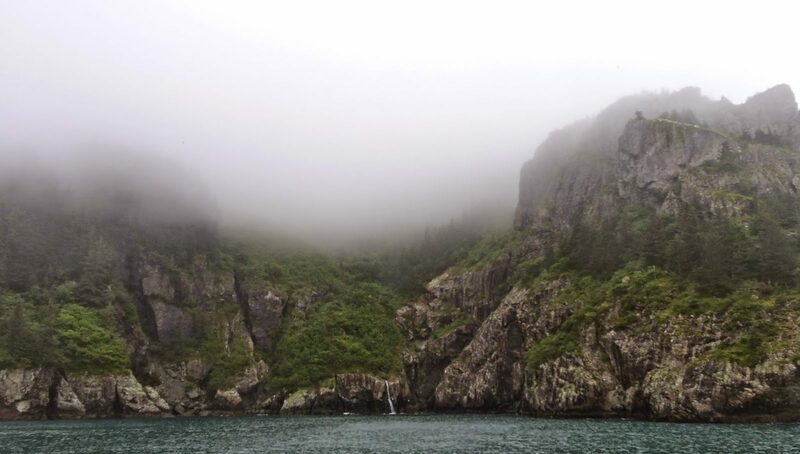 Alaska weather is about as unpredictable as it gets, which goes with the old saying “if you dont like the weather, wait ten minutes.” We started our day targeting some big Halibut and Lingcod. We had about 2 hours left on the outgoing tide, which gave us just enough time to land a few nice Halibut and 2 solid Lingcod. 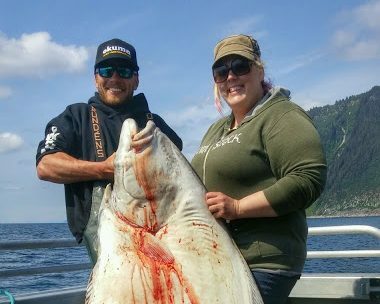 The Sea Quest was on a full day combo trip so as soon as the tide switched we ran to the tried and true hole to fill the boat with Halibut. It didn’t take us long as the fish were extra ferocious today. 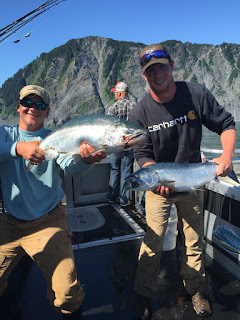 While Halibut fishing we could see schools of Silver Salmon following the Halibut bait to the surface. 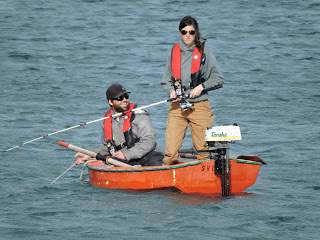 The current was too strong to fish with light tackle forcing us to look elsewhere for our Salmon. I hate leaving fish to find fish but the next spot ended up working out pretty good for us.  Lately the Salmon grounds have been overrun with Pink Salmon and Pacific cod. Today was no different with a ratio of about 3 Pinks to every 1 Silver. 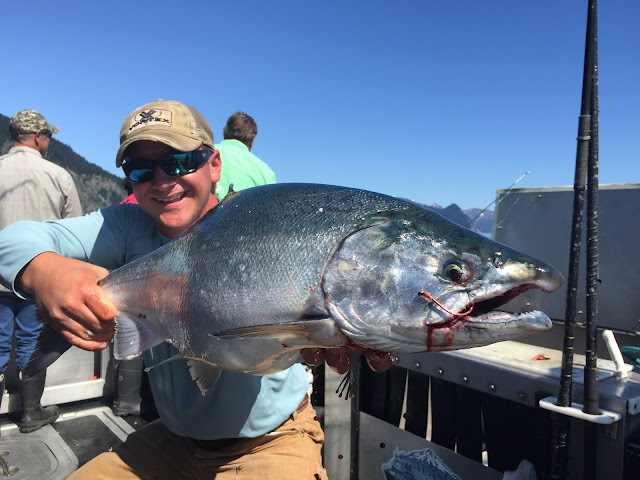 Still fun to catch but we typically throw the pink salmon back in hopes of filling the boat with the better eating Silver Salmon. 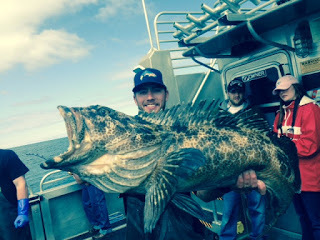 We had a limit of both Silvers and Halibut by 4:15 which concluded our day.